While under 800 yards is usually be an amount I would be disappointed in, August was one of the better months for knitting I’ve had in 2015. Third best, in fact. I’ve been plagued with low knitting mojo and productivity all year, it seems: socks and knit toys do not yield much yardage for the time put into them. I should be seeing an upswing in knitted yardage and stash out this final quarter of the year since I’m tackling a large gift-giving project. We shall see! Things are still pretty warm here, and I’m dreaming of the fall with its crisp air and chances to start wearing my handknits. Are you ready, kittens? Have you been crafty throughout the year and hot months, or are you in a slump too? Today is a fairly quick episode, kittens! I hope you’re having an amazing day and the weather is starting to cool off for you (or heat up if you’re in the southern hemisphere)! There’s quite a bit of chatter in the opening 10 minutes, including a reminder to get your FOs photoed and submitted for Sock it to Summer! It’s hard to believe, but we’re down to the final five days of August! I have a couple of FOs to show, I talk about a WIP that hasn’t been the easiest to get started, some spinning (including a giant skein of freshly finished handspun! ), my new spinning plans, and a large quantity of fiber that just came into stash. Thank you so much for spending some of your time with me today! Full show notes can be found on the blog at SewKnitpicky.net, and please consider joining the Knot A Podcast Ravelry group! ♥ There are only five days remaining in Sock it to Summer! Please get those FOs submitted if you want to play along for prizes in the Knot A Podcast Ravelry group! ♥ I will be in Alexandria, VA the evening of September 8th and the full day September 9th. If you see me, say hi! 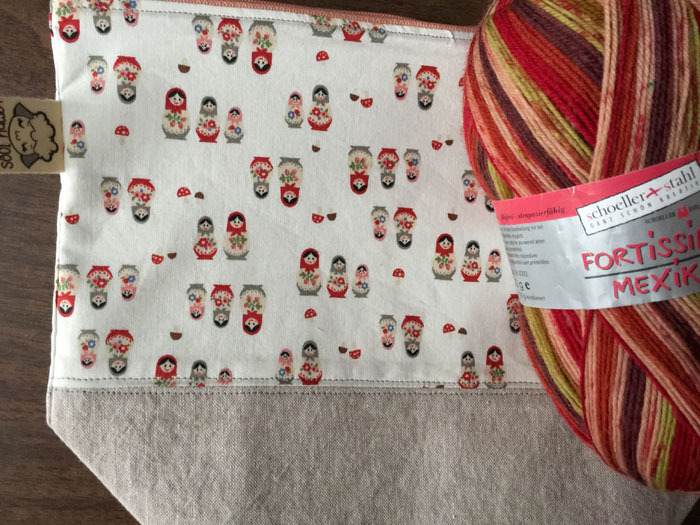 ♥ A glorious 1 pound Patchwork Kit from Hello Yarn has arrived at my home. It’s going to be good friends with my other kit. ♥ I’m offering up a prize for Single Skein September! This year it’s being co-hosted by my lovely friends Kate and Beth (and her sister Kari ♥). 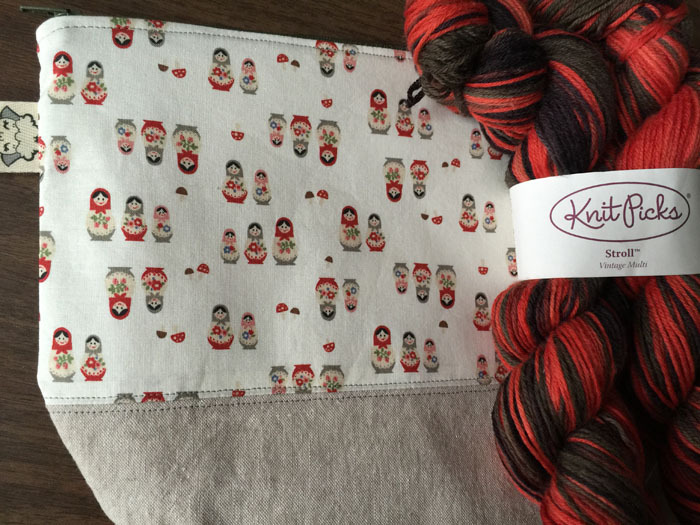 Play along if you would like to use up some of those single skeins in-stash and have a chance to win some Lamby Toes! ♥ You still have time to enter Sock it to Summer with those finished pairs of socks! So far we have a prize pool of a pattern/s up to $10 on Ravelry and two skeins of yarn with bags. A 4th prize is coming after I decide what it is! ♥ Working through a combo spin of two lovely LOOP! bumps. And then I chatted a little bit about some Lamby Toes updates. That’s about it, kittens! I will talk to you next week. I was asked about making mini-skeins, so I’ve included a short video on a couple of different ways I make them. I hope it helps, and please do not hesitate to ask additional questions if you have them! It’s a fairly quick one today, kittens. I have a few WIPs to share with you, a touch of spinning, and a little chat about how I’m going to Rhinebeck this year. At the end of the episode is the promised mini-skein video. Please feel free to ask me any additional questions! Full show notes can be found on the blog at SewKnitpicky.net and there is a Knot A Podcast Ravelry group. Please feel free to join us.